I had an interesting enlightenment last week about digitally mediated friendships, or in a proper term: virtual friendships. We do it, we feel weird about it at times, but we don’t really acknowledge the awkwardness in converting virtual friends to physically “pokable” people. A long-time friend of mine, let’s call him, Jim, caught me unguarded, recently, on Facebook when he sent me a “hey there” out of the blue. Jim and I met during our first year in college. We became Facebook friends after taking a class together and had never really talked face-to-face after we both became busier with school. Yet, Facebook made it possible for us to receive updates (via feeds) about each other’s lives, in general. So, I knew when Jim went to a Lady Gaga concert, attended his sister’s wedding, and had gotten a highlight in his hair. Likewise, Jim probably noticed some of the events and activities I made public on the social networks. I was slightly out of my wits when I saw that chat message from Jim last week. Nonetheless, I remained cool and we chatted online for the next two days. The friendlier side of me then decided to invite Jim out for coffee. That was how things began to feel a little odd. The regular “Hello, how are you? So great to see you,” introduction went okay. But when I asked Jim how the Gaga concert went, he gave me a cold stare. There and then I realized that I had broken some sort of a digital friendship code of ethics. Maybe, just maybe, thou shall not talk about your friends’ activities on social media if you haven’t contributed to the conversations, online or offline, prior to face-to-face meetings. Meaning, I shouldn’t have asked about the Gaga concert since I was not a part of that conversation before I met with Jim; I was merely a “stalker” by Internet terms. Online friendships are disembodied reality. 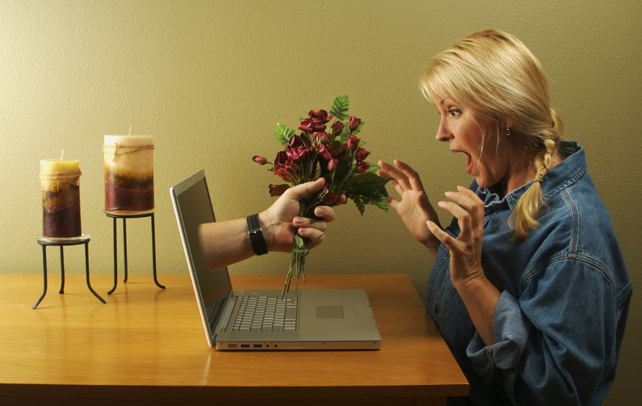 Virtual relationships don’t mean they are unreal; people have different expectations for communicating and sharing online. As various devices allow us to connect with others on multiple levels, the depth and meaningfulness of virtual friendships vary from one relationship to another. As such, we must be sensitive to the digital distance between our friends and us when deciding the point of entry for our conversations. Truthfulness is desired when it comes to the ethical dimension of social networks. Even though online users get great autonomy in playing with the notions of identity without much risk, newer technologies are demanding users to be more responsible of their identities and acts. Never fake another person’s identity. Humble brags are acceptable, but don’t overdo it. Treat thy online friends like thyself. It is possible that we sometimes overlook modesty when engaging with others online. A rule of thumb is to not say anything to an online person that you won’t otherwise say to him or her face-to-face. It may be fun to tease someone over the Internet, but one should be reminded that unintended online bullying is just as bad as intended bullying. The golden rule also applies here online, too: treat others how you’d like to be treated. Virtual friendships are a common social phenomenon these days. It’s a social skill the newer generation needs to master. To avoid being that socially awkward person online – and later, face-to-face – remember the mentioned etiquette for your own good. This editorial is published at University Chronicle on September 8, 2013. ← iPhone 5C: Going for the Colors? Or Price?